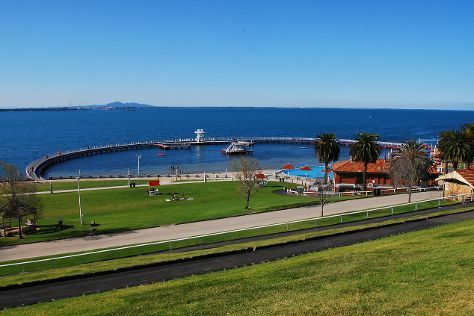 You'll discover tucked-away gems like Eastern Beach Reserve and Art Gallery of Ballarat. Take a break from the city and head to Lake Wendouree and Ballarat Wildlife Park. When in Melbourne, make a side trip to see Ballarat Botanical Gardens in Ballarat, approximately 2 hours away. Next up on the itinerary: admire the natural beauty at Royal Botanic Gardens, admire nature's wide array of creatures at Melbourne Zoo, take in panoramic vistas at Eureka Skydeck 88, and contemplate in the serene atmosphere at St Paul's Cathedral. To see traveler tips, ratings, more things to do, and tourist information, refer to the Melbourne online road trip planner . If you are flying in from Singapore, the closest major airport is Melbourne International Airport. May in Melbourne sees daily highs of 20°C and lows of 9°C at night. Wrap up your sightseeing on the 22nd (Wed) to allow time to travel back home.